We have both spring and fall styles on this listing, you will find spring styles on sale. 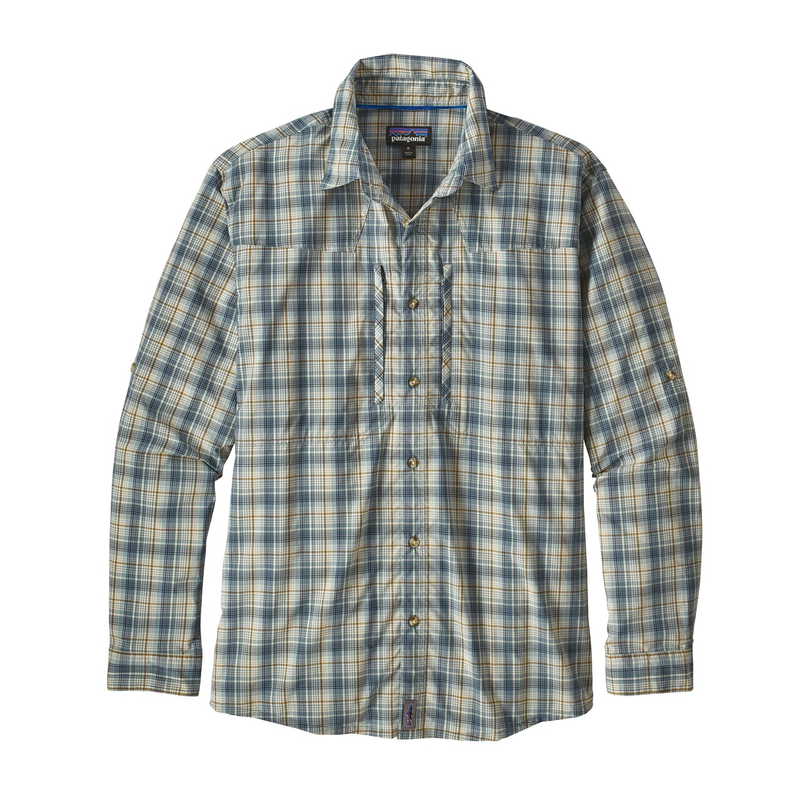 This is relaxed fit Patagonia shirt that is both light weight and simultaneously offers 30 UPF protection. LS means long sleeve, but the photo tells this story too. 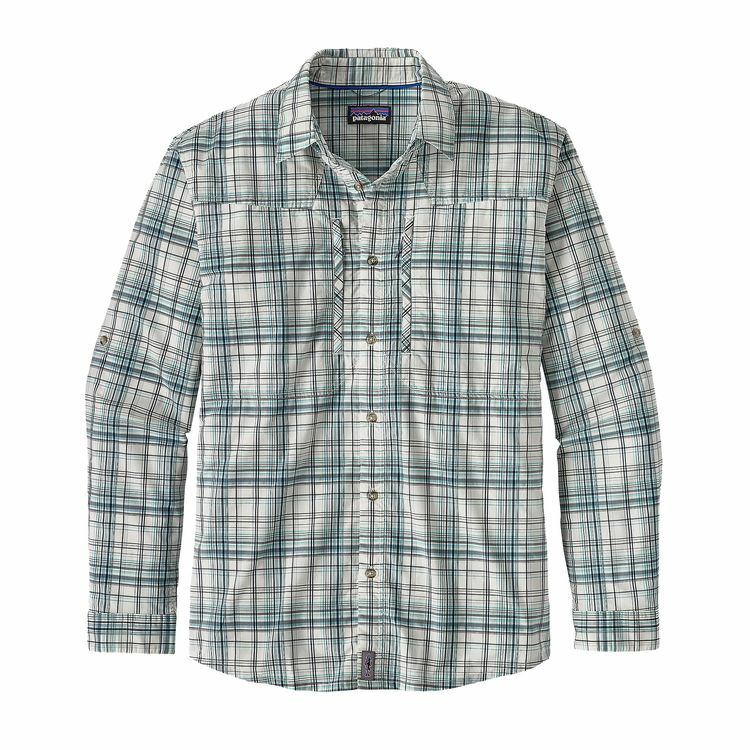 Two zippered pockets on the chest provide access for cell phone or hundred dollar bills to tip your guide or our shop staff when you drop by for a quick visit to stock up on rods, reels, lines and the like. 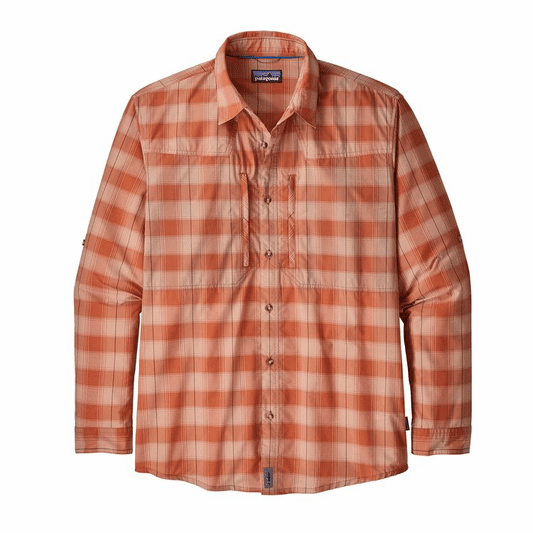 Buttons on the arms allow you to roll your sleeves and keep them rolled, looking sharp at the same time. 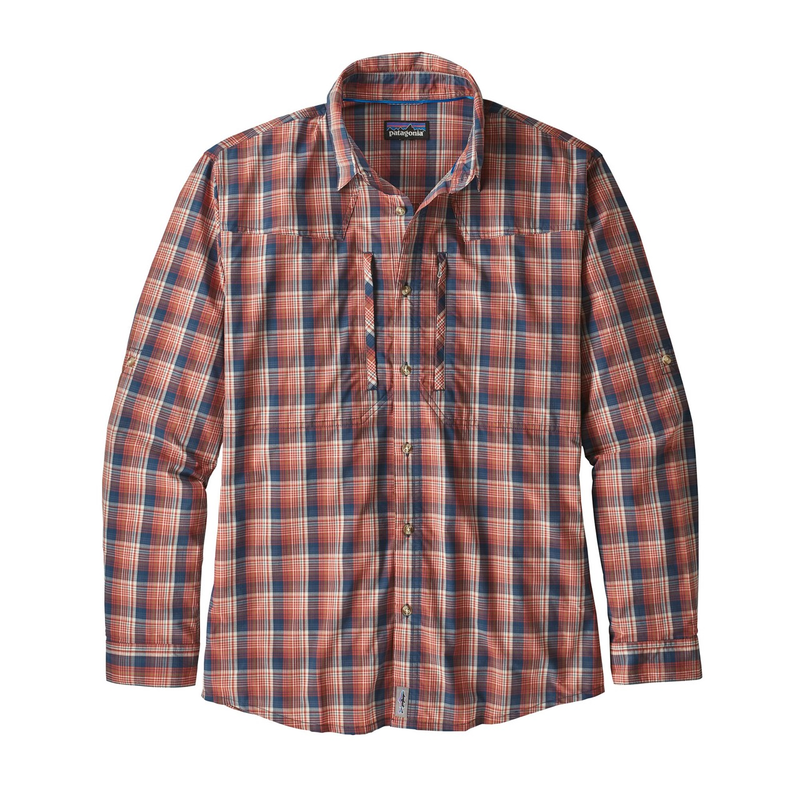 We have been wearing the Patagonia Sun Stretch this year guiding and it�s awesome. 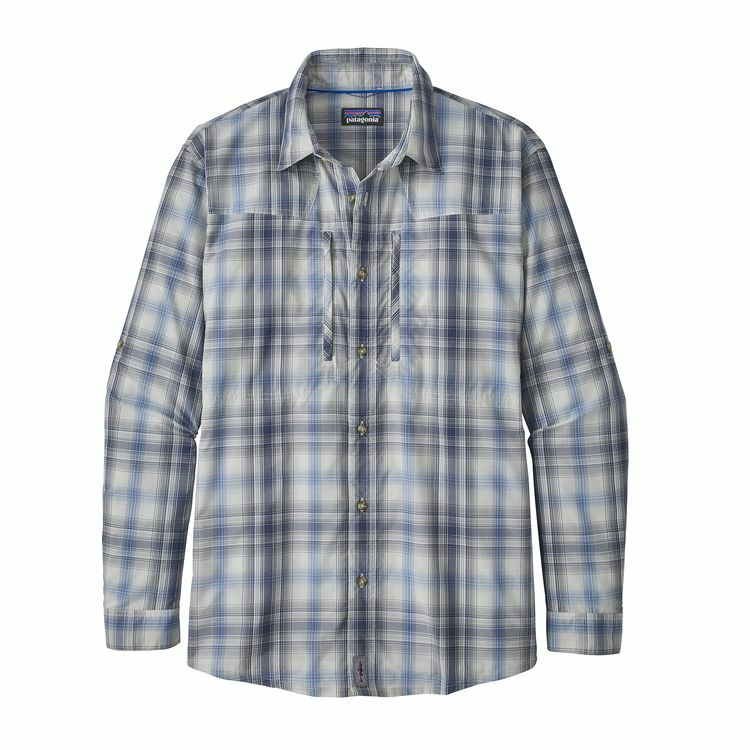 A great fit super comfortable and a fabric that gives a little when you really reach out casting or rowing. 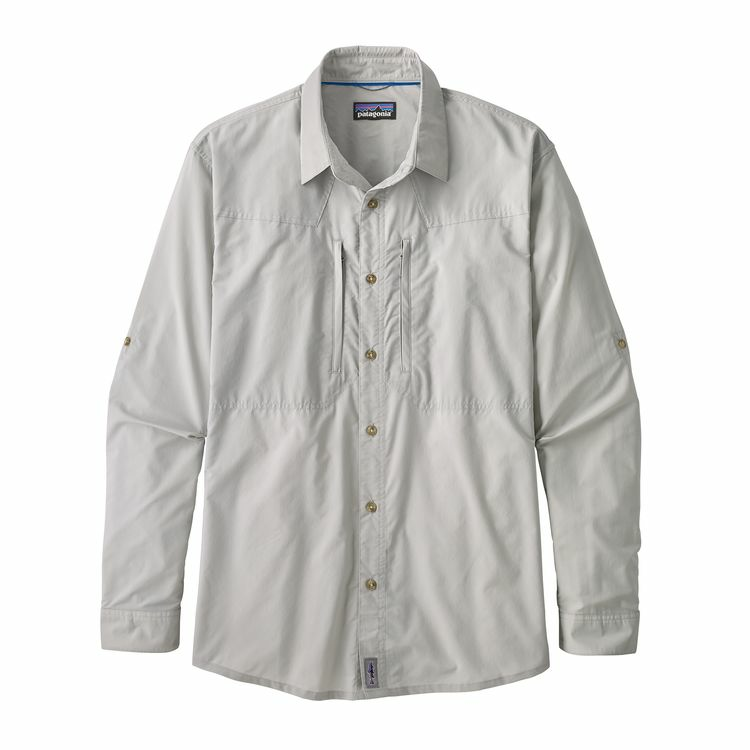 Seriously folks this is the very best fishing shirt on the market, try one and if you don't agree bring it back to us. 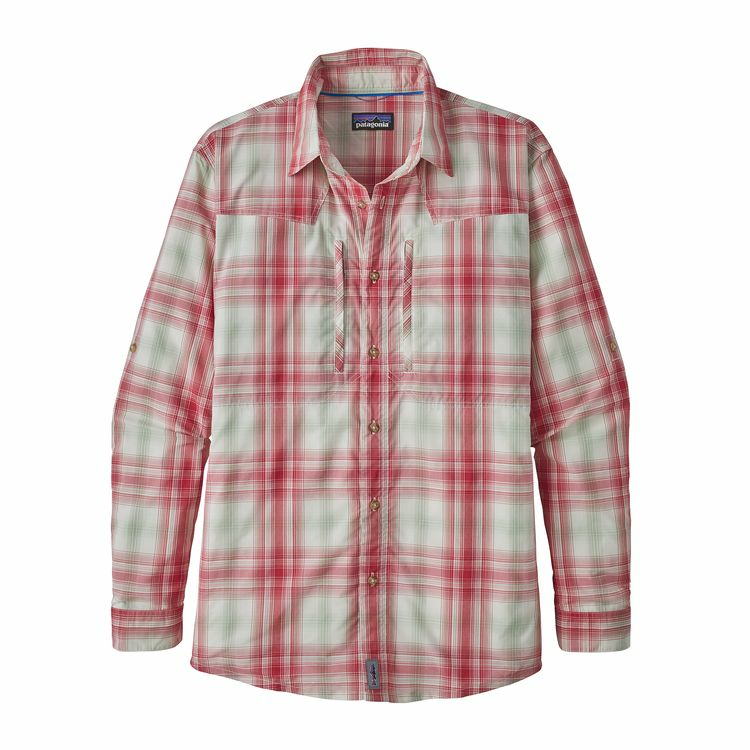 This shirt is made to tuck in but it looks great all loose and billowing around your waist.